Car owners are being confused with the initials car companies use for their safety devices. These acronyms, such as ABS and ESC are bandied about to describe vital safety equipment. But recent studies have shown showed that car buyers are being left so puzzled by the acronyms that safety is now only the 10th most important factor when it comes to buying a car. It’s considered less important than colour, appearance and brand. We’ve devised this handy car safety jargon buster to help owners and car buyers figure out what the kit they already own or might be about to buy does. What it does: Uses sensors mounted in the front to detect whether the car is about to have a crash. If it believes an impact is imminent, it automatically jams on the brakes, no matter what the driver is doing. Most systems only work at below 18mph. What it does: Stops the brakes locking up under heavy braking. Sensors detect when wheels are going to lock and release and re-engage the brakes rapidly. This prevents a skid and enables the car steer round problems. What it does: Cruise control helps a car maintain a set speed. Automatic cruise control uses radar to measure the gap to the vehicle in front. It then regulates your cars speed to ensure you always stay a set distance behind. What it does: This balances brake pressure between front and rear wheels. It ensures braking pressure is even across all four wheels to minimise stopping distances. What it does: Car makers found that in emergency we tend not to apply full pressure to the brake pedal. The EBA system lends an electronic foot to ensure we get the most out of our braking. What it does: This is given different acronyms by different car makers. It uses the ABS sensors to brake individual wheels if it detects the drivers is losing control of the car. This helps to slow the car safely. It also prevents the rear end spinning round, or the car’s front washing wide if the driver goes into a corner to quickly or hits something slippery on the road. What it does: This is a means of connecting car seats to metal bars built into the chassis of the car. However, not all ISOFix seats fit all cars so it’s important to check. You can find out more about ISOFix here. 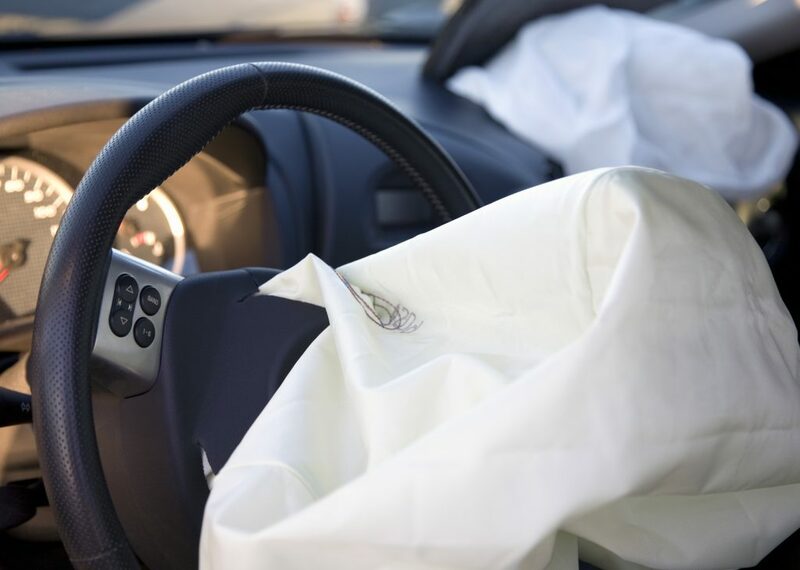 What it does: This is the catch-all term for the airbags that are supposed to be used alongside seatbelts rather than instead of them. What it does: Sensors within or monitoring the wheels watch the air pressure in the tyres. When one starts to lose air it warns you via a dashboard warning light. What it does: Sensors detect when a car’s wheels are about to spin because of too much power during acceleration. They then step in to interrupt power to the spinning wheels, stopping you laying rubber down on the road.